Wet kefir, also known as Japanese crystals, is a type of kefir fungus. 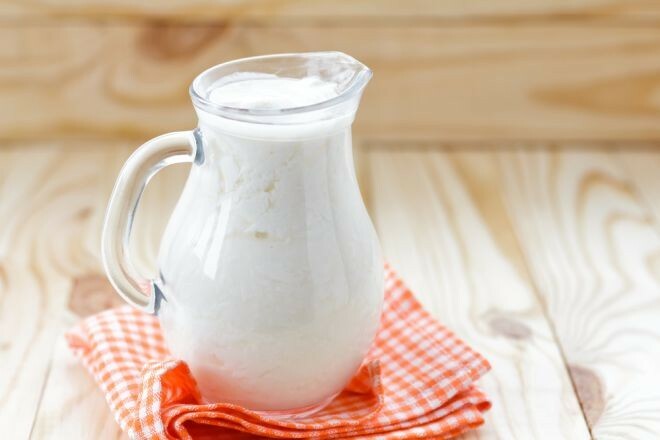 Kefir has similar properties as kombucha but it is easier to preserve (something like milk kefir). This fungus has sharp and refreshing taste and it is easily digestible. This refreshing sour-like taste drink is prepared by kefir fungus. Its preparation is in fact just a symbiosis between bacteria and fungus. Experience showed that kefir has positive effects on the overall health. It can help in the treatment of many diseases and upsets. It is important to mention that industrially manufactured kefir is not produced from kefir fungus but from hops and different types of bacteria that give the drink the same flavor, but not the same quality. Due to this fact , the best thing to do is prepare kefir at home. Its preparation is very simple. You can drink the liquid after those 24 hours or you can store it in a bottle and keep it in the fridge. If you store the kefir into the fridge, add water, sugar and dried fruit the next day. Make sure the water you add is distilled – chlorine free. In case you don’t put sugar, fungus will die. You also need to be careful what kind of spoon you are using. Crystals mustn’t be in contact with metal. This is why you need to use plastic spoon. Don’t forget to let the jar lid little bit loose so the fungus can breathe. As we said before, it is similar to kombucha but less complicated. Kefir preparation will only take 5 minutes out of your precious time. You can consume kefir as much as you want at any time of the day.